Are There Tax Consequences With A Short Sale? If you have been working with a San Diego short sale realtor about short selling your home, you may already be aware that there are possible tax consequences in regards to doing a short sale. This shouldn’t scare you away and keep you from short selling your home however. Although there isn’t a simple answer to this problem, there are ways to avoid paying taxes on your short sale. To begin with, you may be wondering what you’re even paying taxes on. That’s the simple part to explain. When you short sale your home, the difference between the selling price and the amount owed, essentially the amount that’s forgiven, is viewed as taxable income by the IRS. Once your short sale is completed, you’ll receive a 1099-C from your lender with the forgiven amount listed on it. They are also required to report this amount to the IRS. Although the forgiven debt many be a significant amount, it shouldn’t keep you from doing a short sale on your property. If you act quickly, you may still be able to take advantage of the Mortgage Forgiveness Debt Relief Act that expires at the end of the year. This act makes qualifying homeowners exempt from paying taxes on the forgiven amount. There are certain requirements to this act and your home does have to be closed on by December 31, 2012, but if you act quickly and work with a short sale realtor that is experienced and educated, it is still possible to get your home listed, obtain an offer, and get the short sale negotiated and closed before the end of the year. If you have any additional questions on ways to avoid paying taxes on your forgiven short sale debt, or if you would like to find out more about the Mortgage Forgiveness Debt Relief Act, contact a San Diego short sale realtor today. They can provide you with the information that you are looking for in regards to taxes and your short sale property. Who Pays The Fees And Commissions In A Short Sale? Short Sale Hardships – Do I Have To Be Late On My Mortgage? Are a real estate professional and would like a Short Or Stay Calculator for your clients? 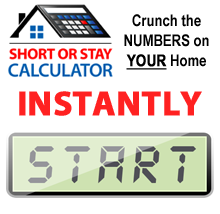 Get the Short Or Stay Calculator!